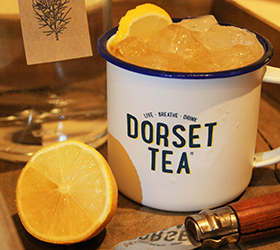 Conker Spirit is Dorset’s first gin distillery and they've shared a delicious recipe for a Cool Camomile gin cocktail with us. Make a cup of our delicious Cool Camomile tea with boiling water and leave to cool. Put the Conker Gin, Cocchi, honey and lemon juice in a highball glass and mix well. Half-fill with ice, then top up with the Cool Camomile tea. Garnish with a slice of lemon. Find out more about Conker Spirit on their website.